Feels like I have just woken up from a long deep sleep, where I am rediscovering the excitement of wanting a Sanrio product. My obsession is definitely coming back slowly. 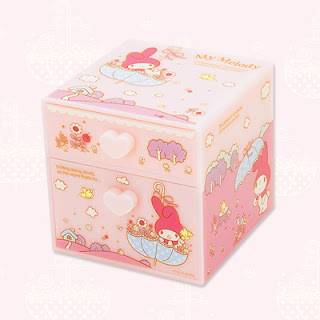 I haven't yet gone to visit a Sanrio store, but I have been browsing USA Sanrio's online store. 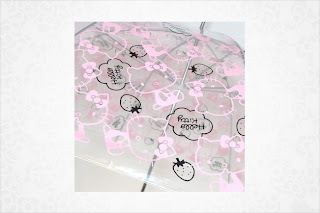 From what I saw of LTS and My Melody products, I was surprised there was more than two items that I was interested in. 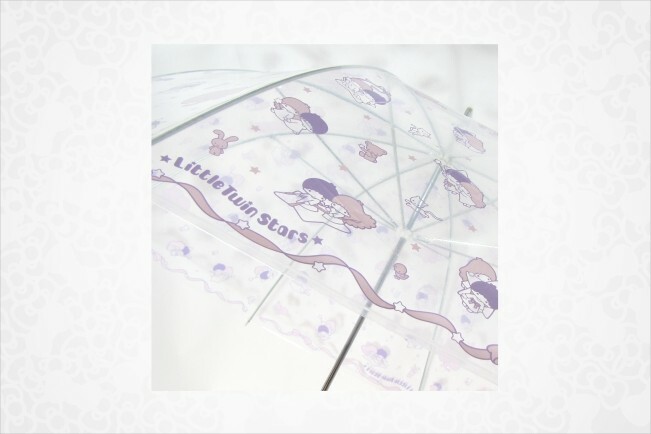 This 2010 Little Twin Stars Umbrella is definitely a *must have* because I can actually use this umbrella without being self concious about it being too childish for an adult. Definitely a plus for me. Take a look below. Don't you agree? I called up two of my local sanrio stores to see if I can skip the mailing fees and get it in person. Unfortunately, my local store at Hollywood ran out of the LTS *STAR* clear vinyl Umbrella. So, I tried my next local sanrio location and there must have been a mix up because I was told that they did have the LTS umbrella in stock and would reserve one for me. Since it was out of my way and near my brother's location, I had him go and pick it up. After coming back, I realized that he had came back with a My Melody version instead. 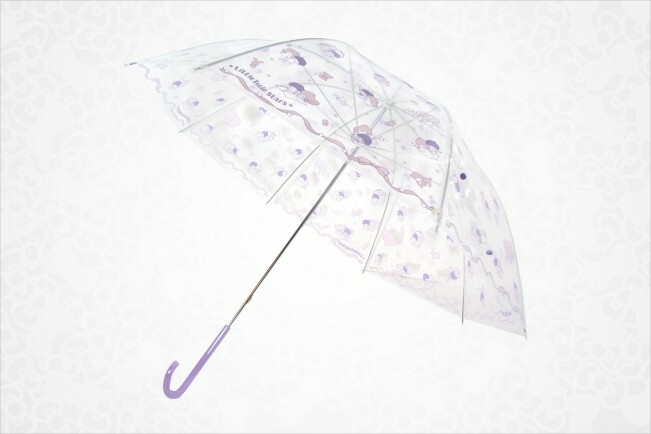 It wasn't what I had wanted, but once I saw the design on the Umbrella, I had decided to keep it. I hadn't realized that there was a My Melody version because I didn't see it on USA Sanrio's official store. I'll post pictures of the umbrella next week along with the LTS version as well. The second sanrio store didn't have the LTS version, so I have already placed an order for it to arrive on my doorstep sometime next week. You will be surprised to learn that the umbrella only cost $13 USD. I thought it would be priced around $25 because Sanrio can be expensive. 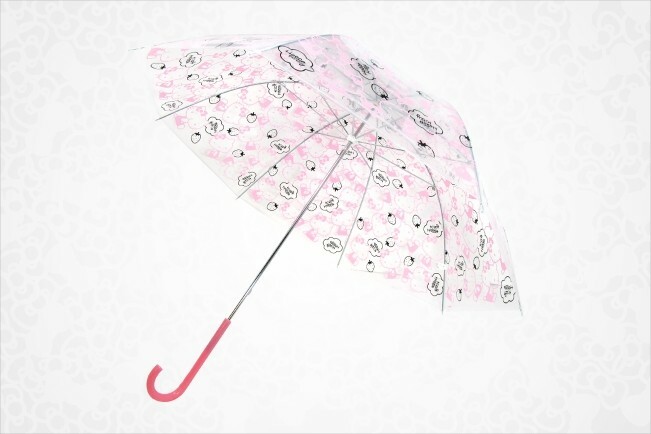 Even though I couldn't find the My Melody version on the online store, there is a Hello Kitty *Strawberry* Umbrella. 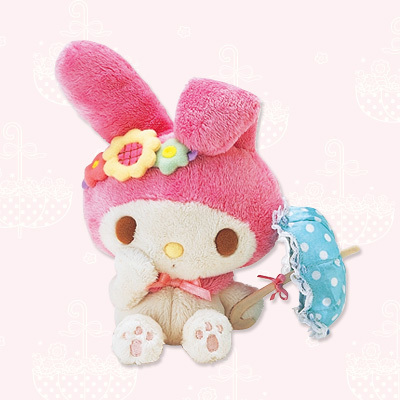 Speaking of umbrellas, there is a new My Melody series coming out or at least is already available in Japan. Not sure if it will travel to the USA, but I already have plans to purchase the Jewelry Chest drawer box. It will definitely match my 2010 LTS chest version.